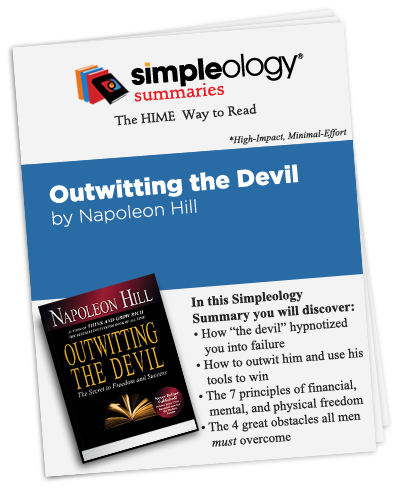 Two generations of Napoleon Hill’s family demanded this book not be published until after their deaths. This book is the long hidden sequel to Hill’s Think and Grow Rich - one of the best selling books of all time. Yet, it was released with little fanfare. To me, the release of this book was one of the most fascinating events in the history of publishing. But no one is talking about it. Is this a choice? Or a trap? Whatever the truth of this claim, the premise adds a bit of drama to a book that arms the reader with three great truths. 3 great truths missing from most motivational books.